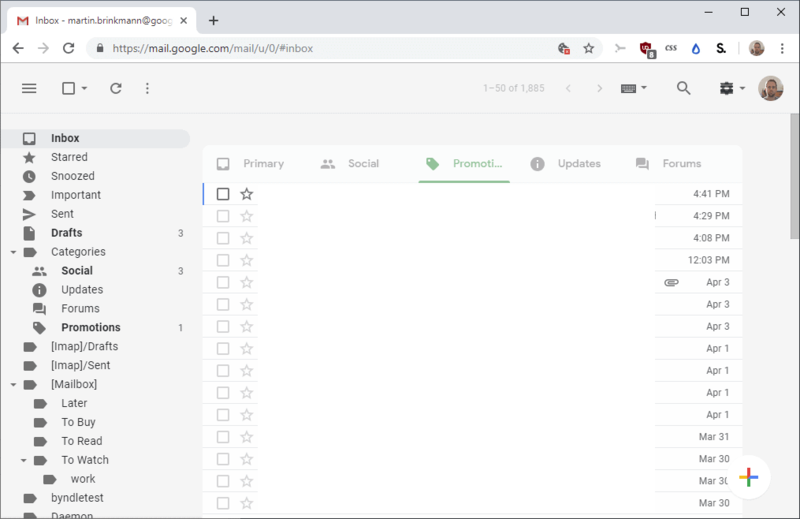 The extension is developed by Michael Leggett who was Gmail's lead designer from 2008 to 2012, and co-founder of Google Inbox. While some things have changed since that time, it is fair to say that he is more than qualified to modify the Gmail interface using Chrome extensions. The extension changes the header on Gmail significantly. It removes icons and colors, the "Google" header at the top, and several other interface elements on Gmail. Main features are still there but in a different form. The search shows up as a search icon instead of the big "search mail" field at the top on Gmail. Simplify Gmail's version reduces this to a single line to increase the space that you have for the actual email. 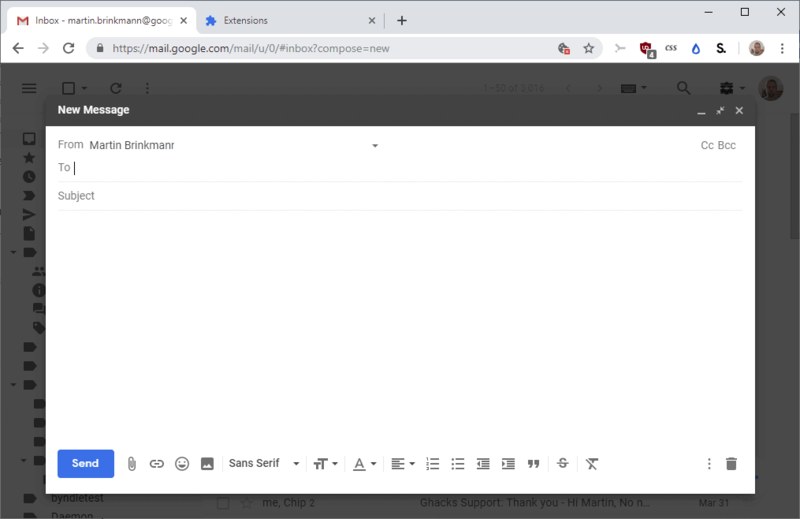 I have a problem with Gmail in my browser being very slow to load – between 10 and 15 seconds – so that I often use the basic HTML option instead nowadays. I don’t know if this is a widespread problem, or something specific to the extensions I’m using (such as uBlock Origin). I’ve been using gmail for many years, could it be to do with the number of historical messages I have? if you use this suggested Chrome addon?. Yes they who really like ultra simplified interfaces, please and use addons for that and leave us, who need features and options alone!. well thats true but a tleast we can use Multiple Inboxes labs feature. The only bad thing about all the things they are changing with Gmail. Is I have two emails one is private and one is public, but if I need to use my extensions in Chrome and I always sign in with my public account, I can no longer read my private email in Chrome as of a few days ago. Great, another FU by Google. This is why I asked about the other question about Vivaldi browser.